75 Minutes of Pre- Season On- Ice Training that will focus on skills that can immediately help you with your game and prepare you for tryouts. Timing, Conditioning, Game Sense and much more. 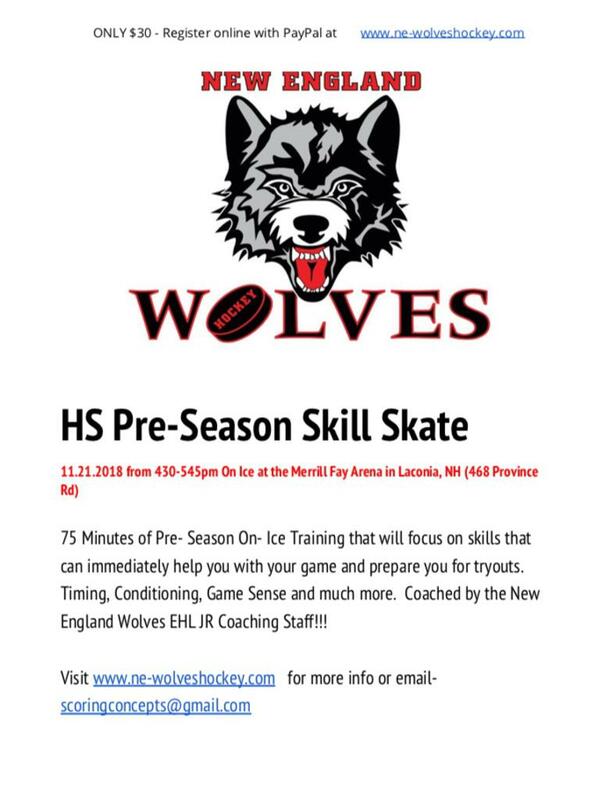 Coached by the New England Wolves EHL JR Coaching Staff!!! CLICK ON THE PAYPAL BUTTON ON THE TOP RIGHT CORNER OF HOMEPAGE TO REGISTER!!!!!!! !